SOME LIKE IT HOT (1959) / THE MANCHURIAN CANDIDATE (1962) / THE TERMINATOR (1984). MGM Home Entertainment continues to release its catalogue titles on Blu-ray at a rapid clip; the latest batch includes Leaving Las Vegas, Hotel Rwanda, The Misfits, and the three classics discussed below. 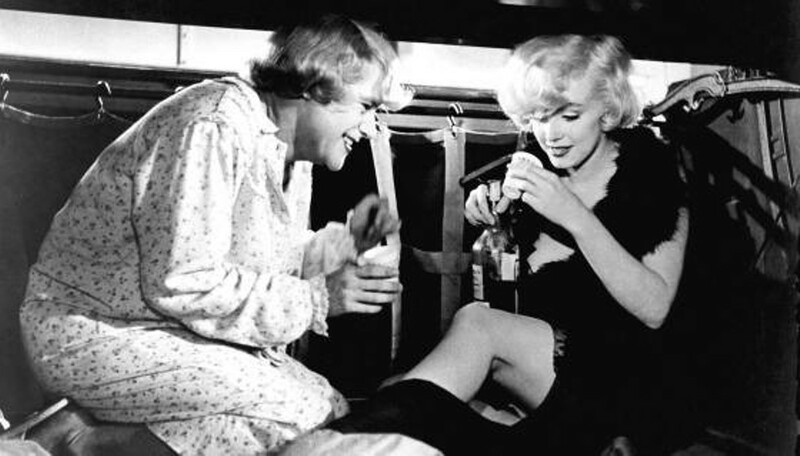 Billy Wilder's immortal Some Like It Hot was voted the best comedy of all time by the American Film Institute in 2000, and you won't find many movie fans who don't at least agree that it's near the top of the heap. Caught in the wrong place at the wrong time — specifically, front-row seats for the St. Valentine's Day Massacre — musicians Jerry (Jack Lemmon) and Joe (Curtis) evade the mobsters hot on their trail by disguising themselves as Daphne and Josephine, two members of an all-female jazz band. Leaving Chicago and ending up in Florida, both guys have their hands full trying to keep up the ruse; additionally, Joe decides to occasionally disguise himself as a millionaire in order to romance band singer Sugar Kane (Marilyn Monroe) while Jerry elects to marry a real millionaire (Joe E. Brown) who actually believes he's a woman. There isn't much to say about this masterpiece that hasn't long ago entered into cinema folklore, whether it's the off-screen troubles with Monroe, the endless barrage of classic quotes (the film's final line is legendary, though I have a soft spot for Jerry's description of a sashaying Sugar: "Look how she moves! That's just like Jell-O on springs! "), or the risqué double entendres that somehow slipped by the censors (presumably, they were too busy laughing to care). An Oscar winner for Best Costume Design, this earned five other nominations, including bids for Wilder (as both director and co-scripter with I.A.L. Diamond) and Lemmon; inexplicably missing were the nods for Monroe (in the finest performance of her career) and Best Picture. 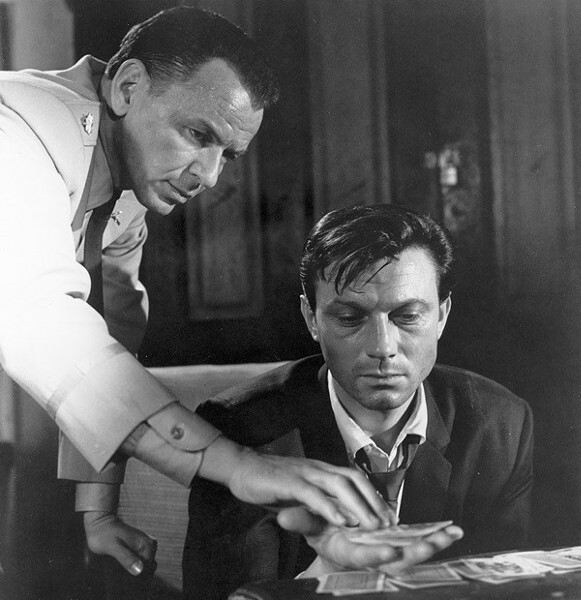 John Frankenheimer's Cold War thriller The Manchurian Candidate was last issued as a stand-alone DVD back in 2004, to tie in with the theatrical release of the remake starring Denzel Washington. At that time, during the George W. Bush era, it was frightening how it appeared as if the movie had been ripped from the headlines of the day: right-wing zealots who would corrupt the process in order to win the Oval Office; a prominent Republican who's popular with half the populace even though he's an absolute moron ("Run along; the grown-ups need to talk," he's told at one point); a political party that uses fear tactics to keep a nation on edge. Based on Richard Condon's novel, the film stars Frank Sinatra as a Korean War vet who, plagued by nightmares, begins to suspect that something's not quite right with a former member (Laurence Harvey) of his platoon, a decorated hero who's constantly having to contend with the political aspirations of his ruthless mother (Angela Lansbury) and her Senator husband (James Gregory). The movie rightly suggests (before the notion was popular) that the political spectrum isn't a straight line on which fascism and Communism exist on opposite ends but rather a circle on which these two ideologies occupy the same space — it's heady stuff in a nail-biting chiller that still has the power to make viewers perspire profusely. Lansbury earned an Oscar nomination for her portrayal of the monstrous mom, yet she's matched by Harvey in a superb characterization as her aloof son, a tortured man whose humanity ironically only emerges once he's turned into a political pawn. Unlike Some Like It Hot and The Manchurian Candidate, The Terminator has already been available on Blu-ray — in fact, this is at least its fourth incarnation in this format. Still a toss-up between this and Aliens as to which James Cameron picture ranks as his best (don't anybody even breathe the word Avatar), this propulsively exciting yarn about a murderous cyborg has long staked its claim as a classic — science fiction or otherwise — for the ages. (The Library of Congress added it to its National Film Registry in 2008.) 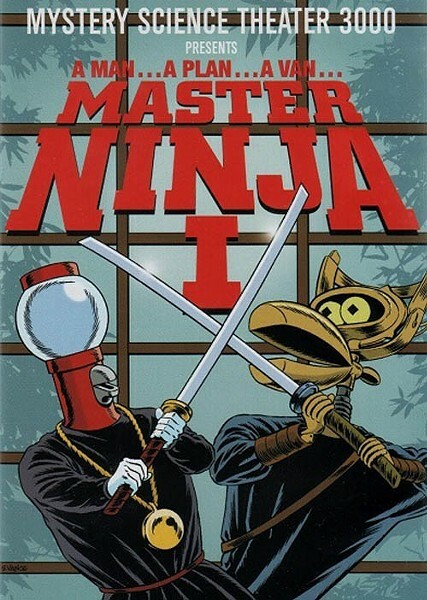 In retrospect, it's hard to believe it only grossed $38 million during its original run (by comparison, the first sequel, Terminator 2: Judgment Day, made $198 million) and received reviews that, while largely favorable, were hardly raves (give Time credit, then, for including it on its year-end "10 Best" list). But the film found its sizable audience on video and, for better or worse, went on to spark Arnold Schwarzenegger's superstar status (although I would argue that the real star of this first picture is Linda Hamilton, terrific as Sarah Connor). And yes, the rumor is true: Cameron originally considered O.J. 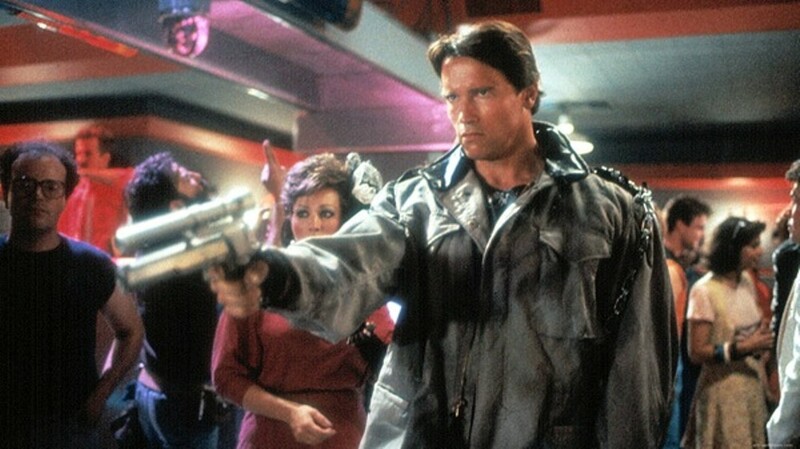 Simpson for the role of the Terminator but ultimately felt audiences wouldn't accept him since he was "too nice."